Chloe Poems Music: Billed as “Britain’s first gay socialist transvestite poet”, Chloe Poems Music promises to bring “playful lyrics” and “a rock and roll ethos” to the evening’s proceedings. Join the Facebook group for the event here. 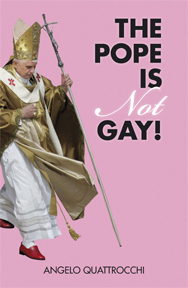 See the Protest the Pope website for more events in protest of the Pope’s four-day state visit from 16-19 September. 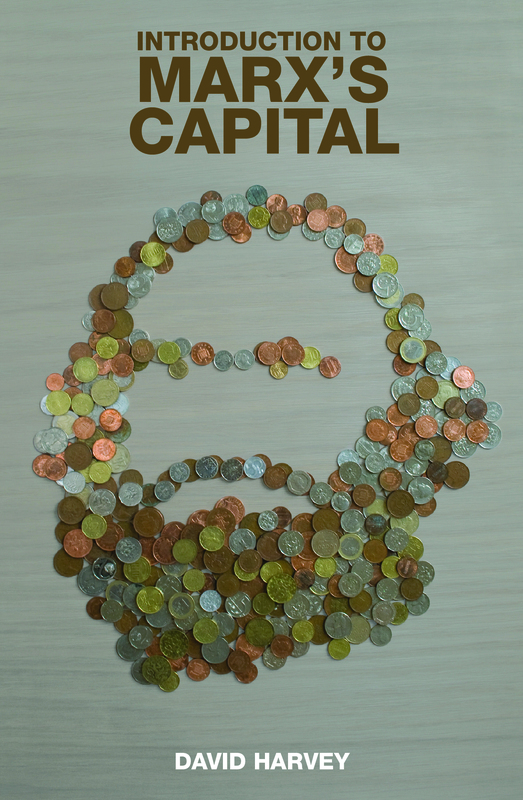 David Harvey, radical geographer and author of A Companion to Marx’s Capital will speak at King’s on 27th April and at the ICA on 28th April. Tuesday 27 April. 6.30pm. Free. Please arrive early to avoid disappointment (Doors open 6pm). 8 April, 1pm at the RSA, London: ‘Storytelling: How narratives shape our reality, ideas and behaviour’. For more information and book your free place here. 8 April, 6.30pm at the ICA, London: ‘Making Believe’, with Julia Hobsbawm, founder of media analysis and networking firm Editorial Intelligence and pioneer of ‘integrity PR’, and Neil Boorman, author of Bonfire of the Brands. Chaired by ICA director Ekow Eshun. For more information and booking click here. Ever since its emergence, humanity has cultivated the art of telling stories, an art that is everywhere at the heart of the social bond. But since the 1990s, first in the US and then in Europe, this art has been colonized by the domain of public relations and triumphant capitalism, and relabelled with the anodyne name of “storytelling.” This has become a weapon in the hands of marketing, management and political gurus, so as to better format the minds of consumers and citizens. Behind the advertising campaigns, but also in the shadows of victorious electoral campaigns from Bush to Sarkozy and Obama hide sophisticated “storytelling management” or “digital storytelling” technicians. It is this incredible hold-up of human imagination that Christian Salmon reveals here, after an enquiry into the ever greater number of applications for which storytelling has been mobilized. Marketing now depends more on the history of brands than on their images, managers have to tell stories to motivate their employees, soldiers in Iraq train themselves on computer games conceived in Hollywood, and spin doctors construct a political life as if it were a narrative. Salmon unveils here the mechanics of a “storytelling machine,” far more effective than Orwellian visions of totalitarian society. The subject that it wants to create is a bewitched individual, immersed in a fictive universe that filters perceptions, stimulates feelings and frames behavior and ideas. Christian Salmon is a writer and researcher in the Centre for Research in the Arts and Language at the CNRS in Paris. He is the founder of the International Parliament of Writers, of which he was president from 1993 to 2003 and editor of the organisation’s journal Autodafe. He has worked as a literary critic and is the author of several works, including Kate Moss Machine, Verbicide and Devenir minoritaire and writes a regular column for Le Monde. Radical author and publisher Eric Hazan will be in conversation with Iain Sinclair about the relation between literature and development of spaces, focussing on their journeys through Paris and London. 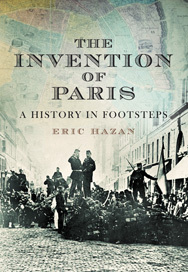 Eric Hazan will discuss his newly translated urban history of Paris, The Invention of Paris, A History in Footsteps. In The Invention of Paris, Eric Hazan takes the reader on an exciting and historically rich tour through the construction of Paris, exploring the places and struggles that have marked its growth. Concentrating both on the literary and cultural representations of the city, as well as riots, rebellions and revolutions — throughout the nineteenth century and up until 1968—Hazan acts as a guide who is simultaneously personal and rigorous in tone. Introducing us to characters as varied as Balzac, Baudelaire, Blanqui, Flaubert, Hugo, Manet and Proust, Hazan charts the formation of a “Red Paris” through the sedimentation of acts and sources of insurgency, and gives us an unparalleled history of the barricade in the life of the city. The Invention of Paris opens a window on a Paris too often hidden beneath tourist kitsch and bourgeois. Iain Sinclair is the acclaimed author of many books. In London Orbital Sinclair walked the length of the M5 motorway circling London on foot. His latest work, Hackney, That Rose-Red Empire pieces together the oral accounts and occult psychogeography of East London. Tickets are £5, £3 concessions . Book online / 020 7073 1350. Border’s bookshop in Charing Cross Road, central London, is normally a tranquil haven where book lovers can browse the shelves at leisure and perhaps refresh themselves at the in-house café. During the launch certain hard-line supporters of Israel in the audience shouted hostile remarks at the author to the annoyance of other attendees. The vocal pro-Israel faction included Jonathan Hoffman, co-vice chair of the Zionist Federation in Britain, who declared: “Why, Shlomo Sand, have you chosen to write an anti-Semitic book: was it because of the fame, or was it because of the money?” Sand vigorously denied that his book was anti-Semitic and answered his critics’ various points robustly. 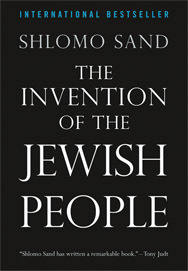 The Invention of the Jewish People is available from Verso. 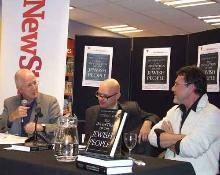 ‘In Conversation with The New Statesman’ event at Borders Bookshop. Professor Sand will discuss his book with the Labour MP Denis MacShane in a public event chaired by Jonathan Derbyshire, Culture Editor of The New Statesman. An evening with Professor Sand and Professor Avi Shlaim, author of ‘Israel and Palestine’, in conversation at the Frontline Club. 18.30 / Monday 9th November: Avi Shlaim will be giving The Tom Hurndall Memorial Lecture at Manchester Metropolitan University, Lecture Theatre 5, Geoffrey Manton Building, Rosamond Street West, off Oxford Road, Manchester M15 6LL. Jocelyn Hurndall, Tom Hurndall’s mother, will also be speaking. 19.00 / Thursday 12th November: Avi Shlaim in conversation with Shlomo Sand, the author of The Invention of the Jewish People at The Frontline Club, 13 Norfolk Place, London W2 1QJ. AVI SHLAIM – Fellow of St. Antony’s College and a Professor of International Relations at the University of Oxford. Avi Shlaim has personal experience of the Arab/Israeli conflict. He “served loyally in the Israeli army in the mid-1960s and… has never questioned the legitimacy of the state of Israel within its pre-1967 borders.” Born to Jewish parents in Baghdad, Shlaim’s family moved to Israel when he was a young boy. He moved to England to complete his schooling at the age of 16 but returned to serve in the Israeli Defense Forces. He is now based at Oxford where he is a Professor of International Relations. Shlaim along with other members of the ‘New Historians’ – a group of Israeli historians who have challenged traditional Israeli assumptions about the creation of the state of Israel – have shed new light on Israel’s role in the Palestinian Exodus in 1948 and Arab willingness to discuss peace. The group gave impetus to ‘post-Zionism’ (a movement of Jewish Israelis who are critical of the Zionist enterprise) and includes renowned scholars such as Benny Morris and Ilan Pappe. With characteristic rigor and readability, Avi Shlaim reflects on a range of key issues, transformations and personalities in the Israel-Palestine conflict and places current events in their proper historical perspective. The essays in this book turn on three main watersheds: the creation of Israel in May 1948; the Six-Day War of 1967; and the Oslo Accord signed on 13 September 1993.